Wacom Expandable Bamboo Touchscreen Stylus $5.99 Down From $34.99! Ships FREE! You are here: Home / Great Deals / Wacom Expandable Bamboo Touchscreen Stylus $5.99 Down From $34.99! Ships FREE! GearXS has this Wacom Expandable Bamboo Touchscreen Stylus on sale for $5.99 (Reg. $34.99) + FREE shipping! Unleash the creative potential of your touchscreen device on the go with the Wacom Expandable Bamboo Touchscreen Stylus. This stylus offers a premium pen-like experience that is great for note taking, sketching, drawing, and other forms of creative expression. This convenient touchscreen-optimized stylus features a collapsible, pocket-sized design that extends into a full-sized writing instrument. 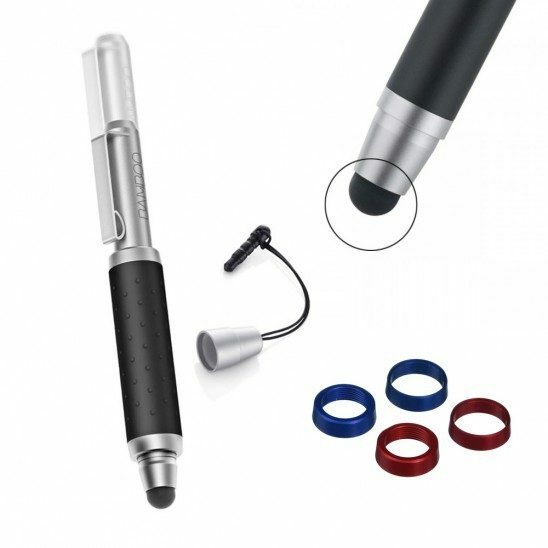 Equipped with a 3.5 mm adapter, you can attach this stylus to your headphone jack to keep it conveniently at your fingertips.